The Royal Institute of British Architects has announced that the Novium Museum has been awarded an RIBA National Award, an accolade won by only the very best projects in any given year. The RIBA National Awards are given to buildings across the UK recognised as significant contributions to architecture. 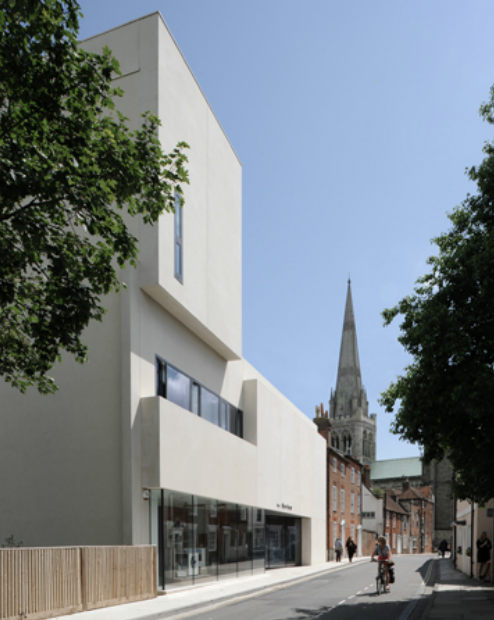 The new museum, designed by Keith Williams Architects, after winning the 2007 RIBA design competition, is located in Tower Street, Chichester in the city’s historic core and in line sight of the city’s cathedral. The Novium sits above the extant remains of the city’s Roman baths which have been excavated and are on display in their original location in the main entrance gallery. The RIBA judges who visited and evaluated the building included leading architects Mike Russum of Birds Portchmouth Russum, and Meredith Bowles of Mole Architects.